It is more messy because of juice dripping out of the peelings. 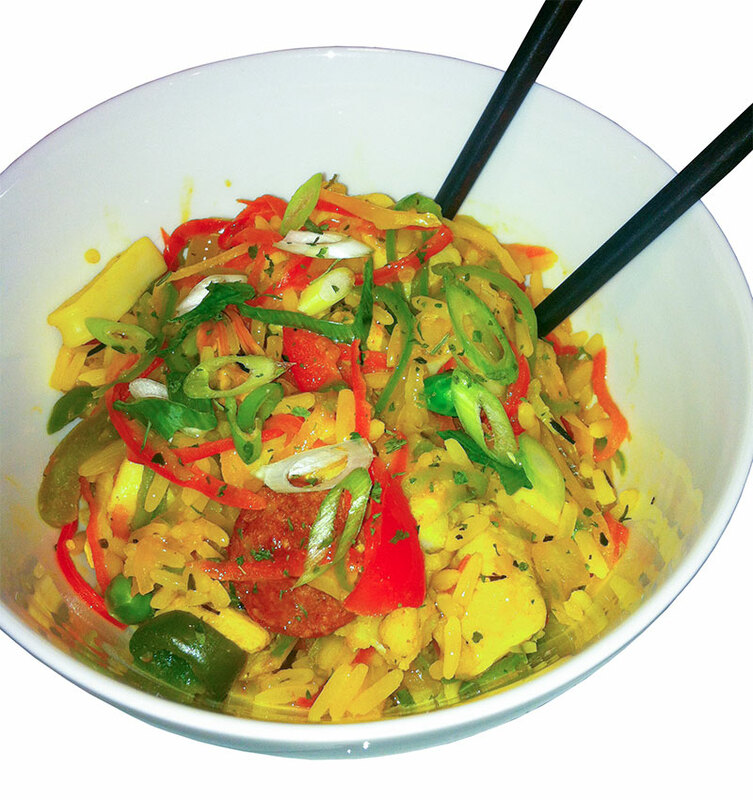 If you like your julienne a little big thicker for example to make a stir fry this is not a good option. 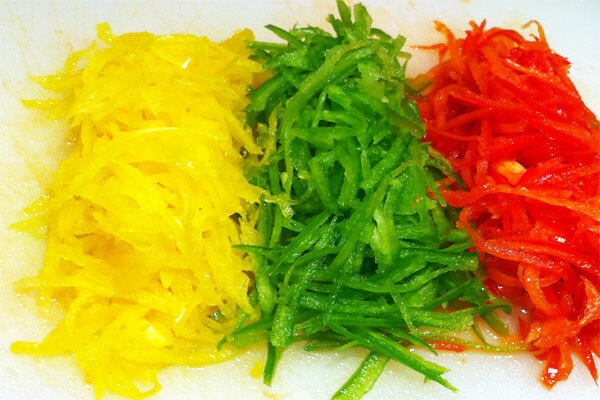 Better use a knife to make thicker julienne. 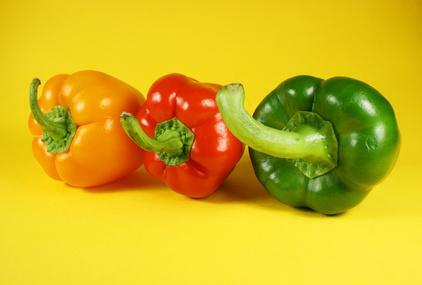 For a colorful result take tree peppers yellow, red and green. Wash them very good because aren’t removing the peel. After cleaning, cut them in half but don’t cut into the stam. Break the pepper in two en remove the seeds. For me it’s the easiest way, because you don’t have to fiddle with seeds that are left behind. Cut the top and the bottom of the pepper. This way it’s easier to make clean peel cuts. Don’t trough the leftovers away. They are perfect to add to a stew. Now start using your julienne peeler. It’s a bit messy but the result is beter then expected. You can add them to many dishes, this evening I have added them to a paella. It adds volume and no need to say that it makes the dish healthier.